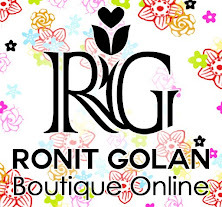 Ronit Golan - Polymer Clay Joy - Inspire to Create: Autumn is here! The best way to start Autumn is with something new! Make yourself a new pendant that will compliment your summer tan and will look great with your Autumn outfits. Here are some close-ups of the surface sheet I've made for these pendants. I make my pendants in several sizes to suit my costumers taste and liking. You autum pendants look beautiful!!! es muy bonito el efecto de esta plancha, me gusta mucho!! !